Hi Everyone! This is Bee sharing with you a little album I made for my daughter to write little secrets she wants to remember later on... I used Echo Park Springtime paper, the stamps are from My Thoughts Exactly (this is the Birds & Bees set) and the other goodies are from Annie's Paper Boutique. To keep everything neatly in place, I used magnet tape strips because it is flat. Alyssa here :D I am posting this on my personal blog as well so if you came from there this is old news to you, but if you did not come from my blog, then hello!! I have been asked to be a member of the FIRST EVER Trendy Twine Design Team!!! These girls are fantastic! You will not be disappointed!! This new team will be sharing projects with you every week on our personal blogs as well as here on the Trendy Twine blog! Also, each month the team will be hosting an awesome new Trendy Twine Challenge!! You will have all month to complete the challenge and submit your entry and at the end of the month 2 winners will be selected to receive FREE Trendy Twine! That means a chance for FREE twine EVERY month!! How awesome is that?! Now in celebration of this exciting new adventure, I wanted to share some of my favorite Trendy Twine projects from this past year! I know these are all old cards but I hope they are a nice reminder of some of the fun things you can do with Trendy Twine! Now, I really want to celebrate this, and I want you all to start getting excited about this awesome team and the fun challenges we will be hosting, so I decided to have a GIVEAWAY!! 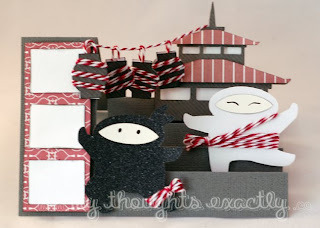 Lesley from Trendy Twine has kindly offered to sponsor this giveaway, so I would love it if you would drop by the Trendy Twine Facebook page and tell her how sweet she is! 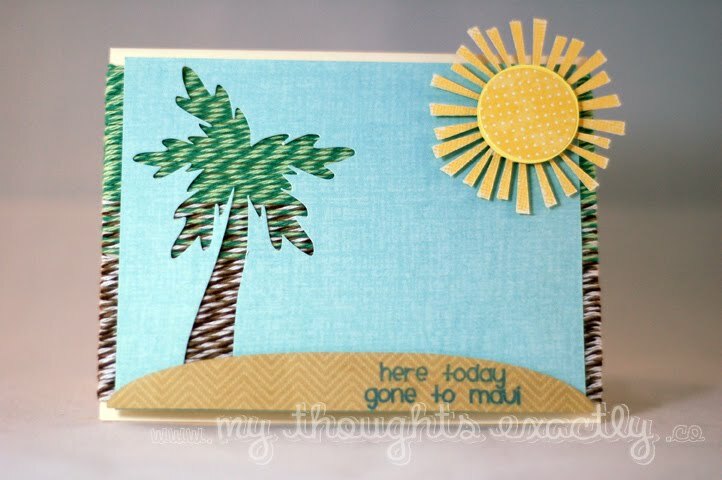 ONE My Thoughts Exactly Stamp Set of YOUR CHOICE!! 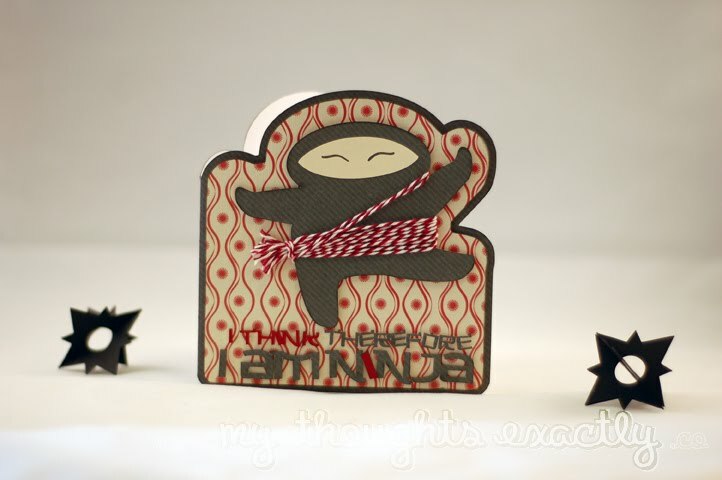 FIRST: I will be giving away one Trendy Twine Mini Pack when the Trendy Twine Blog reaches 100 followers! Get excited and show your Trendy Twine love by following their new blog! Plus keep up on all the excitement and never miss a thing! 2. 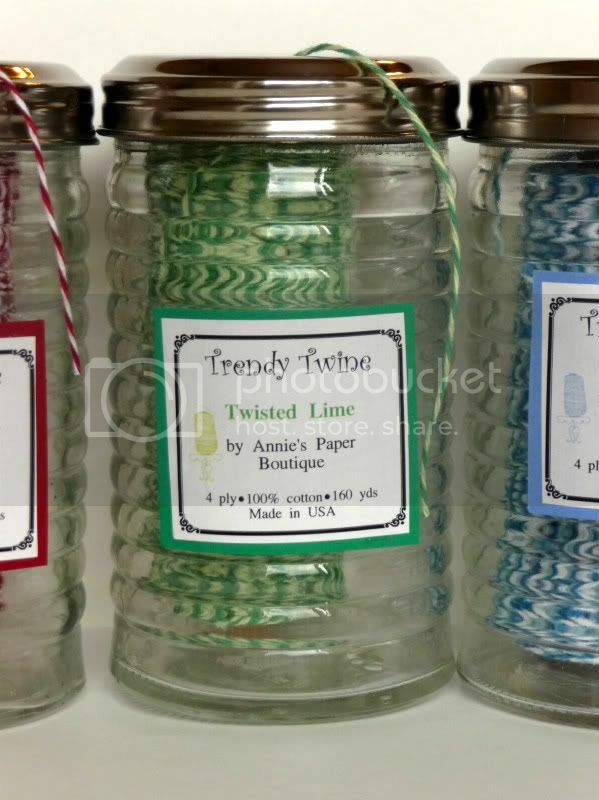 Leave a comment on this post and tell me what you would do with your Trendy Twine if you win! 3. For an EXTRA chance to win, visit the Trendy Twine Facebook and leave a comment telling Lesley I sent you! SECOND: I will be giving away one Trendy Twine Mini Pack AND one My Thoughts Exactly stamp set of your choice when the My Thoughts Exactly blog reaches 400 fans! 1. Visit my blog and become a follower. 2. Leave me a comment on my post over there (it will look like this one) and tell me what you would do with your Trendy Twine if you win! 3. For an EXTRA chance to win, visit the My Thoughts Exactly Facebook and leave me a comment telling me how much you love Trendy Twine!! I really hope you guys are excited about this team and the fun challenges and awesome projects we have planned for you! Lesley also has some AWESOME new twine colors in the works that you wont want to miss so I hope you will join us!! I hop you are having an awesome Tuesday!! 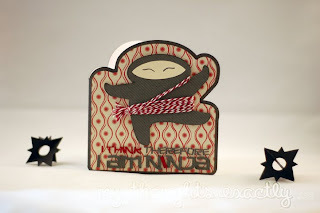 I thought I would share a fun way I found to store my Awesome Trendy Twine! These are sugar containers from the $1 store or Walmart (still only a dollar or Wal-Mart's infamous 97 cents! ;) ) I love how I can get the amount of Twine I need and there is no bunching or knots. Plus it's a fun way to store your twine!! Thanks for checking out this Twine Storage Tip! The winner from the first Mini Bundle were announced this morning! Here! Don't worry if you aren't a winner there are still two more chance, Check out Design Team Member , Bee's Blog, Here for another chance! I thought I'd share the news.... 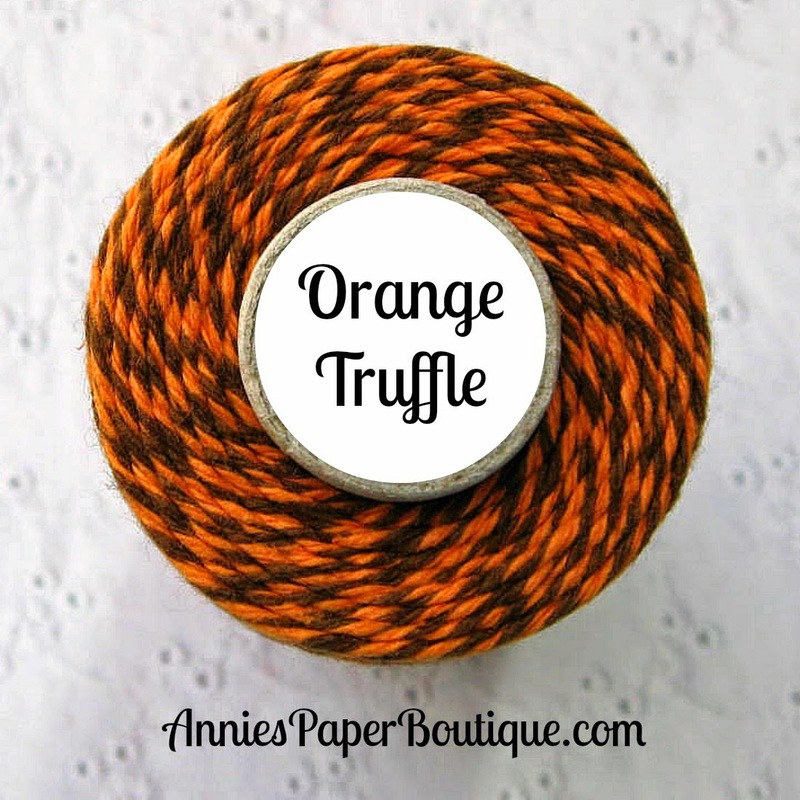 I will have Orange Truffle (Thanksgiving orange and brown) and Cotton Candy (light pink and light blue) twine in within the next couple of weeks. Woooohooo!!! I'm psyched! Can you tell? I will post updates as I get them. Have a super duper weekend. 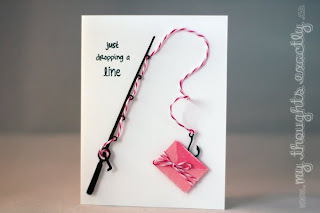 And be sure to check the DT's blogs because some of them are doing twine giveaways. Yipee!! Trendy Twine now has a Design Team. How exciting is that!! I'm super pumped =D. This amazing group consists of Alyssa from My Thoughts Exactly; Bee from Dare to Bee Creative, and Kimberly from Kimberly's Crafty Spot. 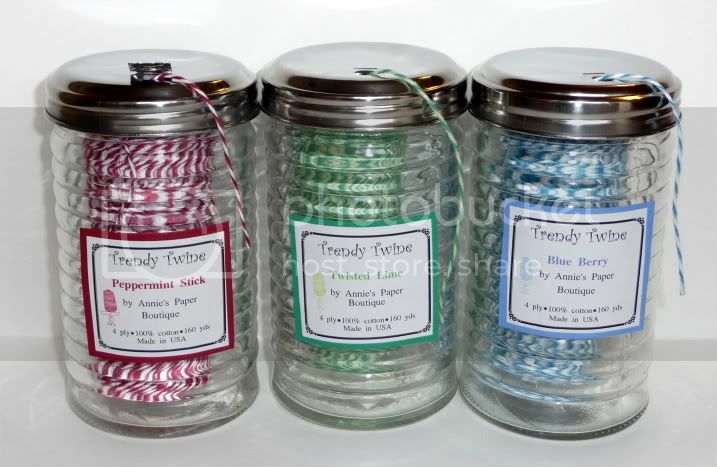 Our first group post will be on Tuesday, Sept 6th, and we will have a challenge too, so that we can give away some of this yummylicious twine. You can never have too much twine!!! Stay tuned for updates and like my Trendy Twine facebook page for exciting news and giveaways. Hope you are having a fantastic week. 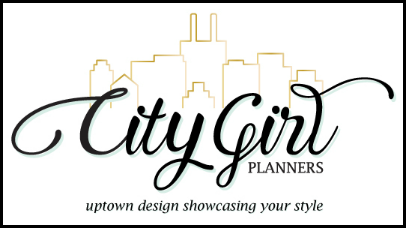 Take a peek at the DT's blogs for super duper inspiration. Seeing all of this creativity will spark your imagination =D. Visit my store to see the colors of twine available. Just wanted to give you all a sneak peek of the next color of my Trendy Twine. 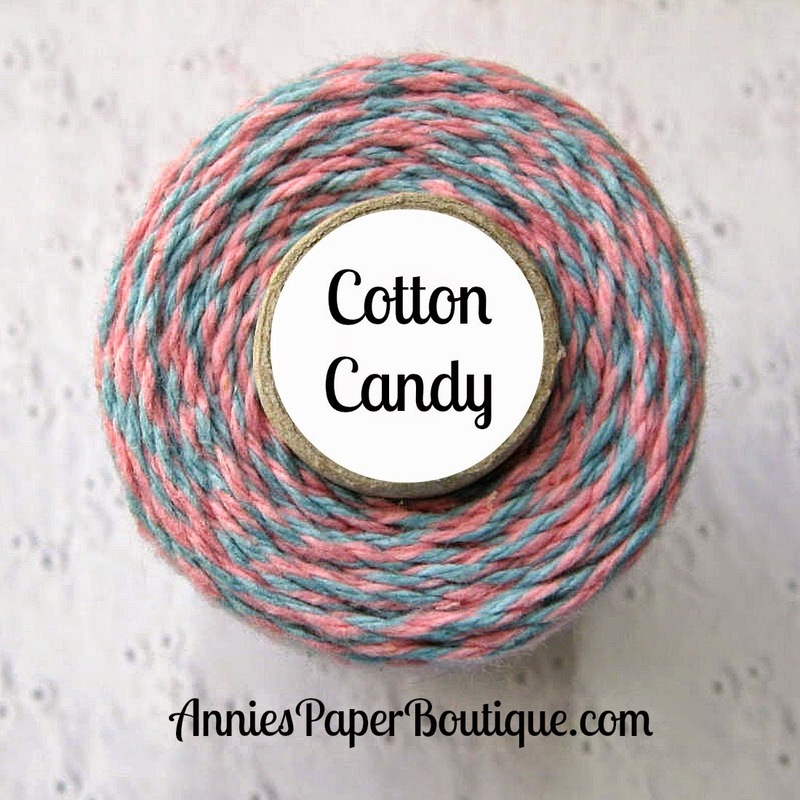 This is a soft blue and soft pink twisted together for one yummylicious combination. 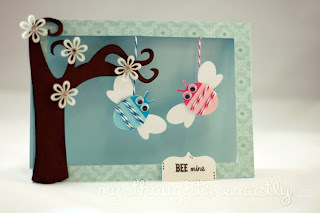 And this will be perfect for baby gifts and baby showers too because the colors can go both ways. I will post an update when I have it available in my stores.